Last week I was in Cardiff for a traditional Chinese wedding. 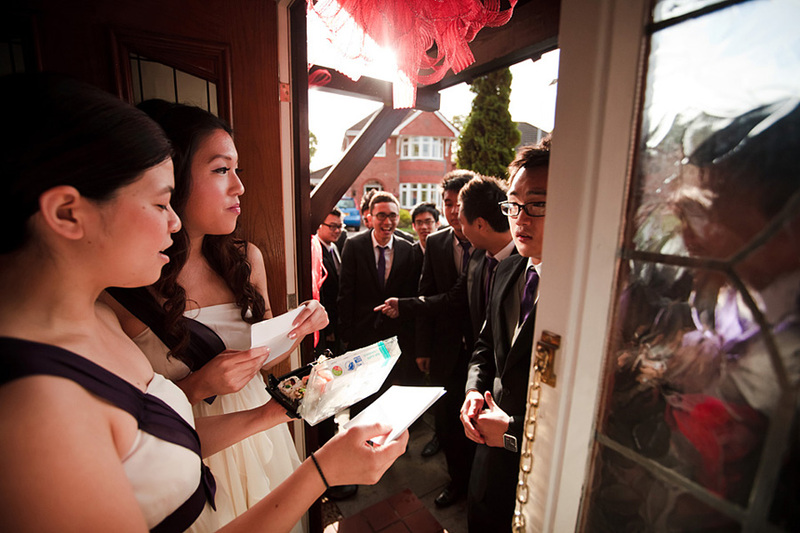 This was my first time photographing a Chinese wedding and I loved it. I’ll write more about it when I blog the wedding in full, but the first of these two images was taken at 9am in the morning, when the groom and groomsmen all arrive at the bride’s house to collect her. Before they are allowed in they have to play games and pass a series of tests. It was great fun to photograph and seeing what they were made to do made me very glad to be safely behind the camera… Congratulations Jess and Ray, it was a lovely day.